Reyes Roofing Contractors, LLC is a local, certified roof contractor serving McLean VA with more than 20 years of roof restoration and repair experience. Reyes Roofing Contractors, LLC can give your home or business in McLean, VA a new look with a roof restoration or installation project! What sets Reyes Roofing Contractors, LLC apart from other roof contractors? We are a team of CertainTeed Certified Master Shingle Applicators with more than 20 years of experience in the Northern Virginia area with a commitment to professionalism and quality of work. Our A+ rating as a BBB accredited business is a testimonial to our hard work and dedication to our clients. We offer a variety of roof repair and installation services including residential roofing and commercial roofing services. Additionally, we are a Velux Five-Star Skylight Installer, a CertainTeed SELECT ShingleMaster, CertainTeed Silver Star Contractor, and an EPA Lead-Safe Certified Firm. 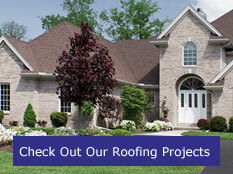 Whatever your roofing needs are, Reyes Roofing Contractors, LLC are your local McLean, VA experts. Receive your free, no-obligation roofing estimate. 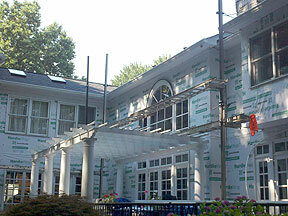 For more information in McLean, VA, contact Reyes Roofing Contractors, LLC.